The use of trademark licensing has become a widespread business strategy to increase sales and profitability and to build and extend the power of a brand. With the increasing use of licensing as a means of growing their businesses, manufacturing business owners are increasingly facing decisions of whether to obtain a trademark license in order to create branded products. Critical to those decisions are the important legal issues and concerns governing the relationship between the owner of the trademark and other licensed material – the licensor – and the business owner obtaining the right to use the trademark – the licensee – that are set forth in the license agreement they negotiate. The licensor and licensee approach the license agreement from two different perspectives. On the one hand, the licensor seeks to leverage its brand and generate additional profit through royalties without being required to expand its own operations, while seeking to protect and retain strict control over its valuable intellectual property. On the other hand, the licensee seeks to gain the right to use the licensed material to enhance the marketability of its own products and to increase its own profit potential upon reasonable financial and other terms. InJordan The Jordanian Civil Code provides general principle which apply on intellectual property rights copyright, patent , … and trademarks. Article 67 from Jordan Civil Code classified rights into personal, real, and incorporeal . personal right exist when there is a legal relationship between a debtor and creditor by virtue of which the creditor claims from the debtor the transfer of real right or the execution, or non-execution of the work. Incorporeal rights were defined as rights attached to non-material things , for example copyright, patent, trademark, and other moral rights which are governed by special laws . A trade mark is the brand under which a business sells goods and services. The mark is a device that conveys to the buyer some level of quality or indication of service level, which over a period acquires identity separate to that of the goods and services upon which it is applied. In this way, this brand adopted by a business portrays represents the image which customers of a business rely upon in selecting goods and services – it is an association with the brand. Growing businesses looking to expand the markets in which the company’s goods or services are sold in and increase market share are able to secure their branding rights, protect their brand name, distribution agreements or advertising arrangements. Trademarks are personal property, and thus may be dealt with like any other property. The rights granted by the Trade Marks Act allow trade mark owners to prevent others selling goods or services using their trade mark without their permission. To do so would be an infringement. It is the licensing of the use of a trade mark in association with a certain quality of goods and services that allows companies to create additional revenue streams by exploiting their trade name in combination with other businesses that see the value in an association in approaching a market. Permission in these arrangements therefore are entirely in the discretion of the trade mark proprietor – to allow a business to sell goods and services and use the registered trade mark in conjunction with them. This is the essence of licensing trade marks. The term “trademark licensing” is a fairly wide expression, which can exist under various forms of contractual relationships , A trade mark licensing agreement is a complex matter. Many economical, commercial, marketing and legal issues have to be taken into account in discussing and finalizing such an Agreement. Legally it’s defined as an agreement whereby the trademark owner authorizes another person or persons to use a mark. A trademark license usually, but not necessarily, contains several conditions such as exclusiveness, consideration, quality standards, the way in which the trademark may be used and advertised, territorial scope, provision of models, patterns or samples. I define the “trademark licensing” as any contractual arrangement wherein the owner of a trademark licenses its mark to another, usually, but not necessarily, for a fee. Under the agreement, the licensee then has a contractual right to produce and sell goods bearing the licensor’s mark. A person who grants a person with exclusive legal rights over a thing or, acting as agent for the owner, gives, sells or otherwise surrenders to another a limited right to use that thing. The recipient or beneficiary of a license to use something, A person to whom a license has been granted to use someone else’s specified thing such as a building, a piece of land or intellectual property a person benefiting from the grant is called a licensee and the legal term used to describe the authority so given, a license. I define the Licensee” the person to whom the licensor grants a license to exploit the licensor’s trademark . 2 Differentiate between trademark license and closer legal acts. Its important to differentiate between trademark license and another legal matters which sometimes have an overlap with trademark license, like franchising, assignment of trademark, and the technology transfer. A trademark license can be defined as an agreement whereby the trademark owner authorizes another person or persons to use a mark. A trademark license usually, but not necessarily, contains several conditions such as exclusiveness, consideration, quality standards, the way in which the trademark may be used and advertised, territorial scope, provision of models, patterns or samples. While franchise can be described as a method of distributing goods and services through independently operated business that shows a common identity to the public. There is a difference between a franchise agreement and a trademark license. A franchise is mostly considered as an agreement aiming at exploiting marketing plans or systems. From a legal point of view, it should be noted that most franchise agreements contain a trademark license, but this is not necessary. A franchise agreement may be restricted to licenses of names, trade dress, house style, etc. Franchise agreements contain the obligation by the franchisor to provide technical and/or commercial know-how and/or assistance, whereas this is not always the case in a trademark license. Although many trademark license agreements will contain an obligation by the licensee to fulfill certain quality requirements with respect to the manufacture and/or sale of goods and/or supply of services, such requirements are typical elements of a franchise agreement. 1- Royalty: In licensing the royalties are paid to the licensor while the royalty in franchise called management fees which are paid to the franchisor. siness , some times it includes know-how , trademarks, business contacts, products prices, and other intellectual property rights. 3- The strength of the licensee and the franchisee: in the license the licensee is usually a well-established business or at less it is an independent establishment, but in franchise franchisee is often tends to be a start-up operation, or at less the franchisee is depend on the franchisor in initial issues. Moreover the licensee often tends to be self-selecting and he has a strong position to execute the license, while in franchise the franchisee is mostly selected by the franchisor. 4- The duration of the contract: mostly the duration of the license agreement ten years and renewed, while it’s about five years in the franchise agreement. 5- The negotiability : in license agreement the licensee negotiate the royalty and other important matters based on his market presence, while in franchise the franchisor generally have standard , non negotiable fee structure, and another important issues. 6- Applicable law: in trademark license the applicable law is trade mark law and the related laws of the trademark like goods mark law , while in franchise there are multiple laws to be apply to this contract like trademark law, trade secret law , patent , anti competitive practice law , etc. A trademark license is an agreement in which the owner of a mark grants another party a limited right to use the mark on specified goods and \ or services in a given territory for a specific time , the licensor continue to own the trademark , and use of the mark by the licensee inures to the benefit of the licensor . An assignment of a trademark is an agreement where the owner of a trademark transfers all or a portion of his/her rights in the trademark to another party. This form is designed for the transfer of all of the rights in the mark, meaning that the owner, after executing the assignment, will no longer have any rights in and to the mark. In the absence of any provision to the contrary in the license contract, the grant of a license does not prevent the registered proprietor from granting further licenses to third parties or from using the trade or service mark himself. The grant of an exclusive license will prevent the registered proprietor from granting further licenses to third parties and from using the trade or service mark himself. In the absence of any provision to the contrary in the license contract, the registered user will be entitled to use the trade or service mark during the whole duration of registration, including renewals, in the entire country, and in respect of all the goods or services for which the trade or service mark is registered, subject to any conditions or limitations entered in the register. A license , unlike an assignment , does not require or operate to transfer the ownership of the licensor trademark . In a trademark license , the licensees right in the mark are inherently limited, and the licensor has continuing obligations , like maintaining and policing the mark. Assignment of a trademark is possible under Jordanian trademark legislation. A mark may be assigned in whole or in part (i.e., for some of the goods or services for which it is registered). Recordal of an assignment is mandatory. “The phrase “technology transfer” is frequently used but not well understood. Generally, the phrase refers to moving technology from one party to another. Although training, teaching or instruction on virtually any subject can be considered the transfer of technology, typically “technology transfer” involves moving rights of intangible intellectual property protected by a patent, copyright, trade secret or trademark between parties, by granting a license. ” The licensing of rights in intellectual property is the “technology transfer” discussed in this chapter. Licensing is the process by which the right to use intangible intellectual property is granted by one party to another. The rights in intangible intellectual property that can be licensed include, among other things, the right to use, copy, display, perform, develop, make, manufacture, market, sell or distribute the property being licensed. Because the license does not transfer title, it is not a sale of the intellectual property, and the owner retains those rights in the intellectual property it has not licensed exclusively to another party. The license is a promise by the owner not to sue the party using the intellectual property for infringement or for use without the owner’s permission. Trademark Licensing is an authorization by the proprietor granting to another person the right to exploit his trademark, either on an exclusive or non-exclusive basis. In international trade, licensing is in the present day is much more extensive as compared to the domestic market & has now assumed importance as an indispensable tool of business organization on an international level. The core of trademark right is the ability of trademark owners to exclude unauthorized parties from using the same or confusing similar marks on identical or confusingly similar product. A corollary to this ” right to exclude ” is the trademark owners’ right to permit others to use their marks under specific conditions. Usually, permission is achieved by contracts , which are defined as ” licensing agreements” or “trademark licenses ” as with any other type of agreements , trademark licenses can contain a variety of clauses including conditions such as exclusiveness, territorial scope, advertising, quality standards, and the percentage and frequency of royalties due to the licensor. Trademark is a contract between the licensor and the licensee, this contract contain a several conditions, this conditions will govern the relation between them also it determine the right and obligations of each party. Jordantrademark law didn’t mention the types of trademark license agreement also didn’t specify the conditions of the license agreement , because the license is a contract in Jordanlaw its governed by the civil code as it is contain the general rule . Generally inJordancivil code the two parties can agree in any condition or conditions shall not be contrary to public order or morality. 2- The trademark owner may license one or more persons, under a notarized contract to be filed with the Registrar, to use the mark for all or some of the goods. Likewise, the trademark owner shall have the right to use it unless otherwise is agreed upon. The use license must not exceed the protection period of the registered mark. The basic right of licensee the right of use the trademark in goods or services which it’s the subject of the license agreement , In granting a license, it is essential that the terms are well-defined and that the important issues are discussed, agreed upon and fixed in the agreement . It is important to define the trade marks and goods, which are covered by the license and to also define the territory to which the license extends. Whether an exclusive or non-exclusive license is of eminent interest to the parties and whether the Licensee can grant sublicenses should be stated clearly in the Agreement. Finally, the regulations concerning royalties should be established and laid down in the text. The licensee still enjoys the right to use and sell the goods or services which carried the licensed mark . However, the licensor also enjoys the same right unless otherwise agreed upon , and can license this right to others the rights are granted by trademark licensing and it depends on the type of the trademark licensing whether it is exclusive one or non exclusive agreement. The licensee is obliged in the restriction of use which stipulated in the license contract including preserve the external appearance of the goods or the services , in addition licensee is obliged in the territorial restrictions in trademark usage. In addition the licensee Without the agreement of the licensor, cannot sublicense other parties to use the licensed trademark, Also The licensee has the responsibility of indicating its name and the origin of the goods on the goods bearing the registered mark. The license contract may give the licensee to use the trademark on a goods or services differ from the goods or services which the trademark was registered, there is nothing in the law prohibit such license. Finally the term of usage of license agreement is one of the most important issues that should be explicitly stated by the parties either as certain date, or a specified amount of time following the commencement date of the license contractor which can be for the life of the trademark and should not extent the period of protection of trademark protection. The Jordanian trademark law provided the right to the parties to determine the period of granting the license agreement but should not extent the period of protection. Article 25/2of the Jordanian trademark law which stated that ” . . . the use of license agreement must not exceed the protection period of the registered mark “, the same thing in UAE law article 30 from federal trade mark law stated ( . . . The period for licensing the use of a mark may not exceed that prescribed for its protection). 2.1.2 Second right : Taking an action in legal disputes. On the one hand, legal disputes arise out of the necessity to defend Trademarks against infringement by third parties. It is the licensee who is operating on a market, where the licensor might not be present at all. Therefore, license agreement often states that the licensee has the duty to inform the licensor about infringements. The next question is, who, the licensor , the licensee , or both together, can or must, take what action? If not specifically regulated in the agreement, this question depends on the type of the license. In the case of a non-exclusive license the licensor has to take action. In the case of an exclusive license, the licensee has to take the action. Irrespective of the license type, these aspects should be discussed by the parties and agreed upon in advance. For instance, the parties might agree to a contract stating that at first the licensor has to take action, but if he refrains, then the licensor is automatically entitled, but not obliged, to take action in his own name. Legal disputes are expensive, and therefore it is frequently wise to regulate the division of the costs of possible disputes in the agreement . Jordan trademark law didn’t regulate this manner in trademark law, there are no articles regulate the case of legal dispute against a third party if he is a defendant ,plaintiff , this issue is governed by the general rules of Jordan procedure law , which in civil cases the person who can make a case he shall has a legal interest in the case , so the licensee has the legal interest and the financial interest in this issue , in addition Any person can make legal action in the trademark registration stage by make an objection to the registrar. The situation is vary in appeal stage that just the person who has a personal legal interest can make an appeal to the High court of justice. Moreover in criminal cases the licensor who has the right to take the action. On the other hand, legal disputes often arise out of an attack by third parties on the trademarks addressed in the agreement. This attack could be to cancellation or opposition proceedings. Also court actions might be brought by a third party, who claims that the use of the licensed TM is infringing the third party’s rights. In this case, it is usually the licensee who will have to bear the consequences of the attack, because he is actually using the TM. In discussing the agreement, the licensee might therefore request a warranty by the licensor in the trade license agreement stating that the use of the licensed TM is not infringing any third party rights. The licensee has the right to make a case against the infringer based on the unfair competition which gives the right to any interested party to make a case against any unfair act infringer, so the license has the right to make this case. Imitation suit case against third party the licensee can’t take such act against the infringer , the only thing that he should tell the licensor about the infringement thin the licensor should take the legal action by sue the infringer in imitation suitcase. As I talk before the license is a contract contain a provisions this provisions specify the relationship between the licensee and licensor however it is determine the rights and duties of each party, while mainly the duty of licensee in the financial term, the care about the mark, and the restriction conditions which may it joins the contract with several obligations moreover some laws consider the quality control as main duty to keep and preserve the mark. The licensee will normally be required to pay the licensor one or more payments in respect of the license agreement. These payments may be in the form of regular payments at pre-determined time intervals during the life of the license termed “royalty payments” and/or one or more lump sum payments may be required, often upon grant of the license. The royalty rate can be calculated for a licensed product as a fixed sum per item sold or as a percentage of the selling price, less any taxes, duties and/or any other amounts attributable to costs not related to the licensed product itself, such as transport, insurance, discounts or trade credits. If the license concerns a process or treatment, it is often necessary to calculate the royalty rate based on each use of the process or treatment. If the license agreement is exclusive, the licensor may insist on a “minimum royalties” clause in the agreement. This protects the licensor if the licensee does not achieve a pre-agreed level of sale or use of the licensed product or process. The minimum royalty rate can be based on targets which the licensee expects to achieve each year or a minimum figure which the licensor is prepared to accept. The licensee is obliged to take ordinary care abut the mark , while the usage of trademark is the main object for the licensee in addition that he is obliged to use the trademark , the interest of the licensor that the licensee should continue use his mark , because if not for three years continuously it may subject for cancellation according to Jordan trademark law , not only that but also its beneficial for the licensor when the licensee continue using his trademark which increase its publicity thin its value. Ordinary care acquire that licensee shall not use the licensed trademark in bad quality goods or services which may infect the original trademark or may infect the reputation of the trademark. In this issue the licensee shall follow the conditions and recommendations which submitted by the licensor, however he has to tell the licensor about any infringement to the trademark and about any dangerous matters may affect the trademark. Ordinary care about the trademark is based in the general rule of civil law especially in articles 202 and 358 from the civil code, and in all cases he is responsible about the cheating and gross negligence. Usually the license agreement contains a conditions on behalf the licensor which restrict the licensee in specific issues, that is true because the general principle that the contract is law between its parties , the two parties can agreed in any condition they like but shall not contrary to the morals and public order, the aim of this clauses some time to prohibit competition. Members agree that some licensing practices or conditions pertaining to intellectual property rights which restrain competition may have adverse effects on trade and may impede the transfer and dissemination of technology. Nothing in this Agreement shall prevent Members from specifying in their legislation licensing practices or conditions that may in particular cases constitute an abuse of intellectual property rights having an adverse effect on competition in the relevant market. As provided above, a Member may adopt, consistently with the other provisions of this Agreement, appropriate measures to prevent or control such practices, which may include for example exclusive grant back conditions, conditions preventing challenges to validity and coercive package licensing, in the light of the relevant laws and regulations of that Member. According to TRIPS shall prevent members from specifying in their legislations licensing practices or conditions that may in particular cases constitute an abuse of intellectual property rights having an adverse effect on competition in the relevant markets. 1- the prohibition of a licensee from transferring improvements affected by him , on the technology included in the licensing contract except to licensor ( improved reverse technology transfer). 2- the prohibition of the licensee from administratively or judicially disputing a licensed intellectual property right . 3- an obligation on the licensee , to accept the licensing with a number or rights instead of one right . InJordantrademark law there are no provisions determine the restriction conditions in the license agreement so the door is open to the parties to agree about any thing they like . Indication of the geographical area for the marketing of the products or services bearing the mark. Indication of the period for using the mark subject in this respect to the provision of the Art. (31) hereof. The conditions warranting to the mark owner the control of the products quality to which the license is applicable. The compelling of a license beneficiary to abstain from all that acts which may result in undervaluing or harming the products or services bearing the mark. The situation in Jordan law is not deferent too much from the UAE law even if Jordan law didn’t put article like this in the UAE law because article 34 fro UAE law mention there restriction conditions as a examples and optional conditions, but in another countries the position is wide deferent in some condition like quality control condition, for that I well mention some optional condition which may restrict the licensee usage of the mark. The license contract may include requirement of confidentiality, the licensee is committed to maintaining the confidentiality of the goods or services which licensed by licensor and manufacturing process that grant the licensee by the license agreement which some time the call it non-disclosure condition if the trademark contain a trade secret. In Jordan law the two parties can add this condition to the license agreement , also in my opinion in UAE law the two parties can join like this condition to the license agreement because this matter is necessary for preserving the licensor rights on the trademark, article 34 from UAE trademark stated (A licensing contract may not contain any stipulations binding a license beneficiary with restrictions not imposed on the rights granted by the registration of a trade mark or not necessary for preserving such right …). In this condition the licensee is restricted in the geographical area which specified in the license agreement , if the licensee exceed the countries specified in the contract he well be liable against the licensor under the contractual responsibility because its breach to the contract. Jordanian law didn’t talk about this issue expressly, but according to the general rules its allow for the parties to mention this condition in the agreement, while in UAE Trademark law the legislator mention this condition expressly in article 34 paragraph 1 which stated “1- Indication of the geographical area for the marketing of the products or services bearing the mark. ” This condition in UAE Law is optional. Usually the license agreement between multi citizen individuals every one of them from a country which has a special legal system because the breach some times may because of the licensee behavior which he use the licensed trademark in his country , the licensor in the general rule has to make the case in the licensee country ( defendant domicile) also the courts has a deferent procedures from state to state sometimes its complex procedures with long term also multi level from courts , for that the licensee and licensor often agreed in arbitration to settle the dispute which may appear in the future . Commercial arbitration is usually sought by two means; either through a clear cut provision incorporated in the original contract or in accordance with a separate arbitration clause apart from the original license contract showing the points of dispute between the two parties. 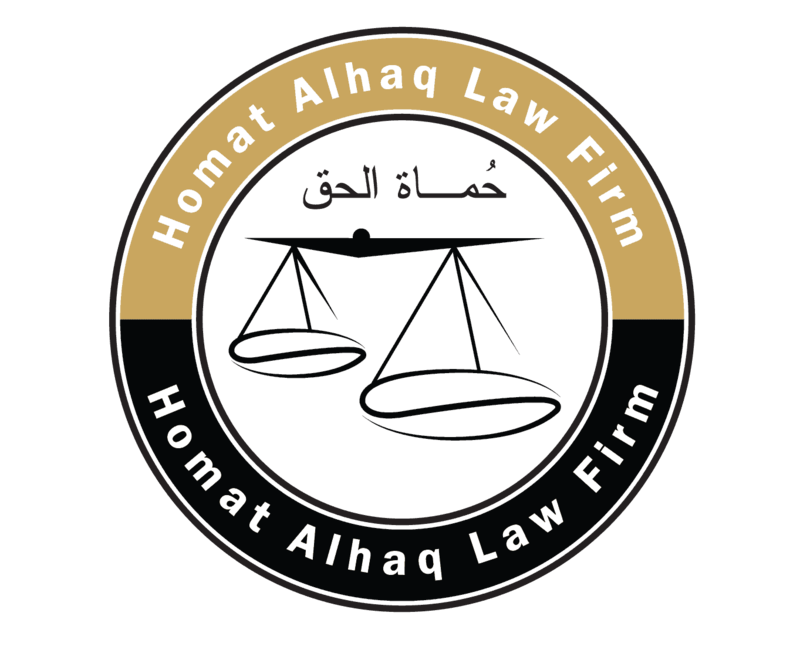 In both cases this arbitration is regarded as special arbitration known as adhoc arbitration where upon the two parties agree to set out its objective and procedures. Arbitration may be permanent or regularized where the two parties role is restricted to only agree for arbitration. As for other arbitration procedure and the law governing or to be applied on the issue, these are normally contained in the rules and regulation of the panel entrusted to settle the dispute. In Jordan law the legislator didn’t prohibit such condition also in UAE law because this condition shall not affect the normal usage of the licensed trademark.moreover in Jordan arbitration is governed by the arbitration law no.31 of 2001 which is derived from the UNISTRAL standard law . The two parties in licensing agreement may agree that the licensor has the right to monitor the quality of goods and services which the licensee uses the trademark for. Trademark Usage – The licensor may specify the manner in which the trademark will be used on or in connection with the goods and services of the licensee and on advertising and promotional materials. The licensee may be required to obtain the licensor’s permission before using any new presentation of the trademark. Quality control provisions are foundational in any trademark license agreement . Quality controls protect the trademark owner’s reputation by specifying certain minimum quality standards must be met by the licensee; standards that consumers rely on in making their purchasing decisions. An important matter , If a licensor does not exercise sufficient control over the quality of the goods and/or services offered by the licensee, the trademark may, in some countries, be deemed abandoned (e.g., in the U.S.) or become vulnerable to attack by the licensee or a third party (e.g., in theUK). However in Jordan trademark the legislator is mute about this condition there are nothing about this issue which left the door open for the parties to agree about this thing or not. With respect to what I talk before about the obligation of the licensee of ordinary care about the trade mark which it is a legal obligation according to the article 202 from the civil law and article 348 from the same law. According to the UAE law quality control is optional clause that the agreement may include or not this is subject to the parties. Maintaining too much control over the quality of the licensed goods may expose the licensor to unnecessary liability for claims of product liability and negligence and can interfere too much with the licensee’s business. Accordingly, special care should be taken to craft quality control provisions that maintain the value of the mark, while allowing the licensee the ability to operate its business as it deems appropriate. Quality control provisions should be designed to ensure that any products or services offered under the licensed trademark are of a quality that is at least equal to, if not better than, any existing products or services offered by the licensor. Quality control provisions should also include strict guidelines for use of the licensed trademark, which should specifically describe how and where to affix the mark. In addition, quality control provisions should set forth clear and unambiguous product specifications and should describe adequate product inspection and approval procedures. Similarly, quality control provisions should specify that the licensor has the right to routinely inspect the manufacturing facilities to ensure compliance with the license agreement and applicable laws. A licensor should also demand the right to review customer service comments and complaints. In my research I talk about the rights and obligations of the licensee in Jordan trademark law in comparison with the United Arab Emirates federal trademark law, I found that Jordan law talk about license agreement in brief only in article 25 , this article make the basement of licensing that make the possibility of licensing the trademark without the goodwill, this article establish the possibility of exclusive and non-exclusive license , in addition that the new amendment in 2008 which added to the article stipulate the duration of the license for the term of protection , with conjunction with article 20 paragraph 2 the term of protection is ten years , for that the term of the license shall not exceed ten years in Jordan law, for me I see that the new amendment is cruel to the licensee because after the ten years he need another license in another conditions which may grant the licensor the chance to impose unjust conditions upon the licensee shoulders to renew the license. In United Arab Emirates the license agreement is regulated in the articles from 30 to 34, approximately the provisions is much detailed than the Jordanian provisions, but it is the same rules at the end with little bed deference. The main issue which is not managed in the two laws the legal dispute action which it return back to general rule which contain a little vague about this issue which its in the two countries is subject to discretionary comparing other jurisdictions like UK it is manage this issue in very detailed provisions. Finally in Jordan law there are nothing about quality control as a condition in the license agreement , which it is important to protect the consumer from buying the bad goods which they don’t want , however in UAE trademark law this condition is optional in the license agreement, this condition is an important matter which in USA for example it shall be contained in the license agreement contrary to this the trademark owner well lose his trademark, because of that I see that Jordanian legislator need to make an amendment stipulate the quality control condition. 3- Friderick Abbott , Thomas cottier and Francis Gurry, The international intellectual property system. 6- David Kitchin and others , Kerly’s Law of Trademarks and Tradenames , published by Sweet and Maxwell, thirteen edition. 10- Salamat, Nader A, theses in Trademark license in Jordanian law , comparative study, Jordan University , 2010 . See Salamat, Nader A, theses in Trademark license in Jordanian law , comparative study, Jordan University , 2010 , page 93. 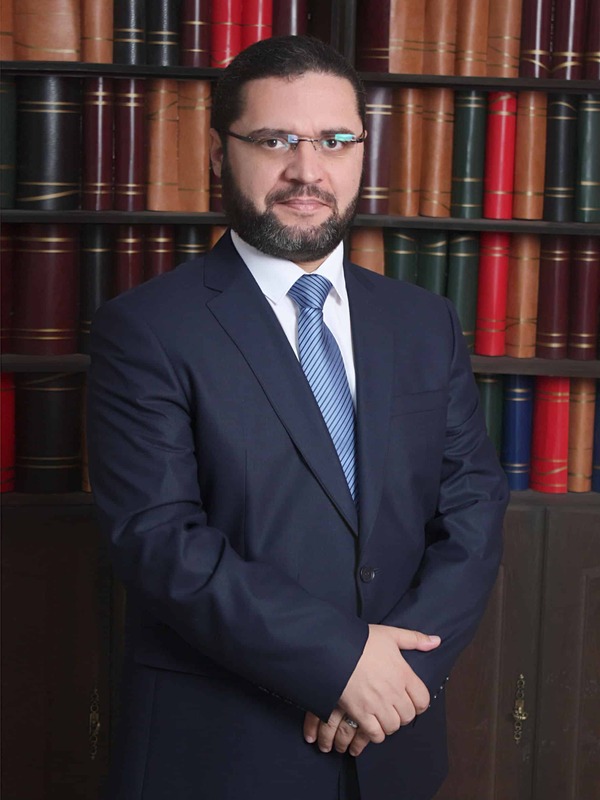 See Mansour Surayreh, thesis , Trademark licensing in Jordan law , comparative study , Mut’h University 2003 , page 155. See article 34 from the federal law of United Arab Emirates.